In 2012, immigrants constitute 63 % of new cases of heterosexually transmitted HIV among individuals born outside Ireland. Current strategies to encourage testing can be ineffective if immigrants perceive them as culturally insensitive. We obtained qualitative data to explore challenges to voluntary HIV-testing for immigrants in Ireland. Content analysis was undertaken to identify and describe pertinent themes. Widespread beliefs that HIV is primarily a disease of African immigrants were identified as challenges that constrain access to testing and care. The organization and location of testing services, attitude of health workers, and beliefs regarding mandatory HIV-testing for immigrants seeking access to welfare benefits were also identified. Immigrants in Ireland encounter a variety of structural, cultural and personal constraints to HIV testing. 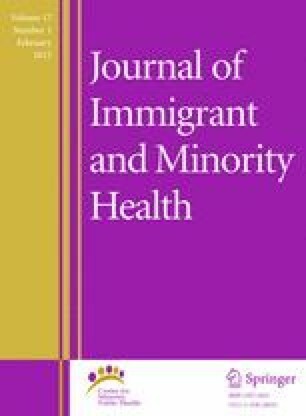 Opportunities exist in the Irish Health system to increase testing among immigrants through greater acknowledgement of cultural sensitivities of immigrant groups. The authors gratefully acknowledge the support from the leadership of African immigrant communities in Dublin and Navan and the individuals who participated in the study. Funding for this study was made possible by the Albert Einstein College of Medicine Center for Global Health Micro and Pilot Grants in 2011 and 2013.
International Organization for Migration 2013. http://www.iom.int/cms/en/sites/iom/home/where-we-work/africa-and-the-middle-east.html. O’Donnell, K., Moran J., O’Hora A. HIV & AIDS Diagnoses in Ireland 2011. Health Protection Surveillance Centre website. http://www.hpsc.ie/hpsc/A-Z/HIVSTIs/HIVandAIDS/SurveillanceReports/File,13069,en.pdf. Updated May 16, 2012. Institute of Medicine. 2010. http://www.iom.edu/~/media/Files/Report%20Files/2011/HIV-Screening-and-Access-to-Care/HIV%20Screening%202011%20Report%20Brief.pdf. The Irish Independent. “A third say they cant afford to visit GP”. 2013. http://www.independent.ie/irish-news/a-third-say-they-cant-afford-to-visit-gp-29466909.html. Central Bank of Ireland. Consumer Protection Code 2012. http://www.centralbank.ie/regulation/processes/consumer-protection-code/documents/consumer%20protection%20code%202012.pdf.